Enjoy the comforts of easy travel while you stay in Riverside. 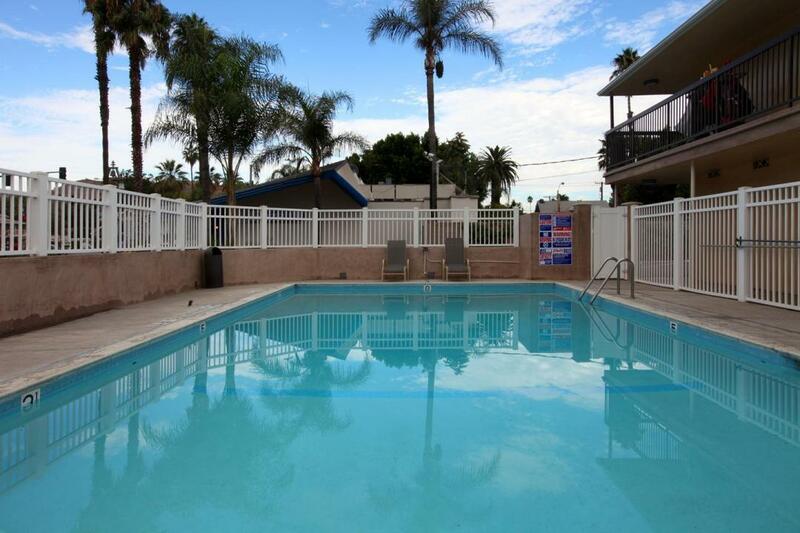 Conveniently located in the heart of Southern California, our Americas Best Value Inn features free wireless Internet access in all guest rooms and public areas, a crystal clear outdoor Swimming Pool, and is 100 percent Non-Smoking. 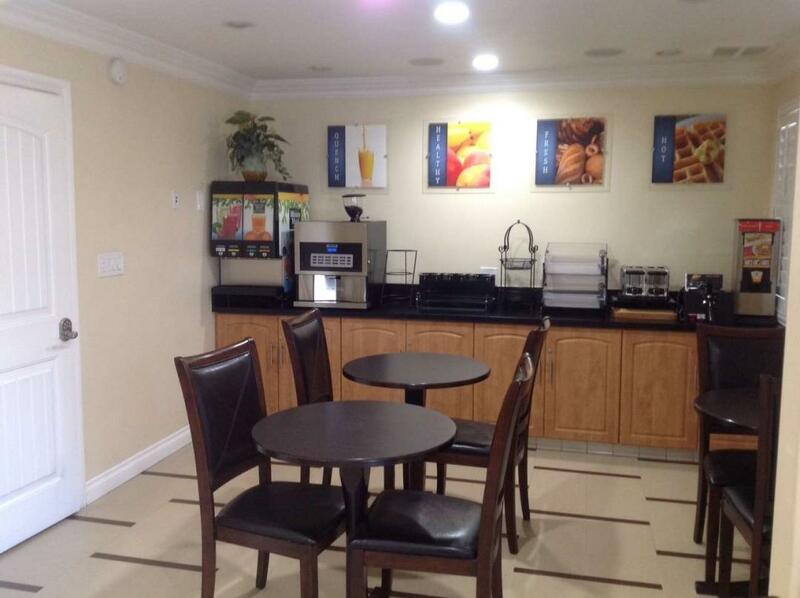 Enjoy complimentary continental breakfast every morning. Our newly remodeled guest rooms feature pillow-top beds, down comforters, and fine linens, mini-fridges, flat panel TVs with cable and HBO, hairdryers, irons, and ironing boards are available in our guest rooms. All rooms have flat screen TVs. We are just 2 blocks from the Historic Mission Inn and Riverside's Raincross Square Convention Center, 3 miles from the Riverside Art Museum, and approximately 30 miles from the World Famous Disneyland Resort and Knott's Berry Farm. 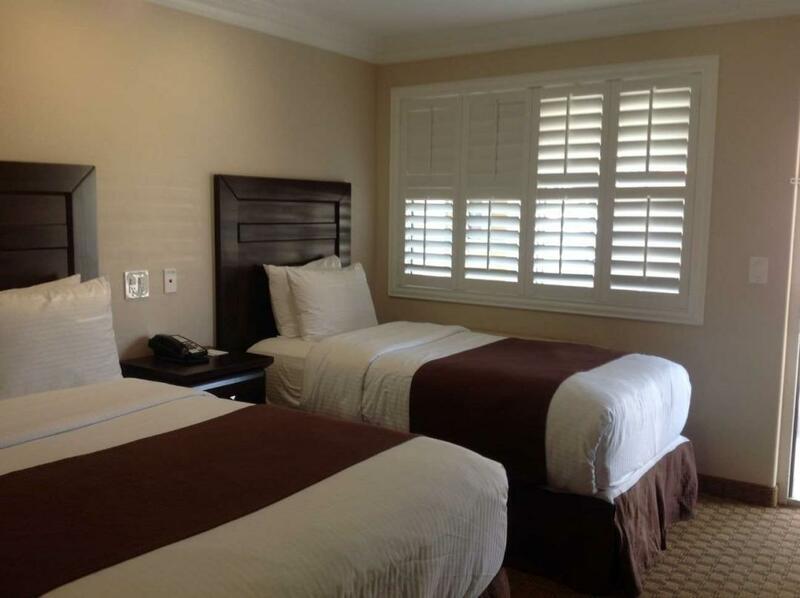 Located in Downtown Riverside and just 15 minutes from Ontario International Airport we gladly cater to both business travelers and vacationing families. We look forward to your arrival, and remember that when you book with Americas Best Value Inn - We've got you covered! Boy's Garden Family Restaurant, 0.2 mi. Cabin Sushi Restaurant, 0.2 mi. Bajio Mexican Grill, 0.2 mi. El Sarape Restaurant, 0.2 mi. Toad In The Hole Restaurant, 0.3 mi. Simple Simon's Restaurant, 0.3 mi. Downtown Supper Club, 0.3 mi. Lake Alice Trading Company, 0.3 mi. Back to the Grind, 0.4 mi. Tin Lizzy's Cookie Cafe, 0.4 mi. Farmer Boys Restaurant, 0.5 mi. Check out these Riverside attractions during your stay. Biking, birding, trail running, and Sight Seeing at the Chino Hills State Park, 6.5 mi. Golfing at Fairmount Municipal, Riverside, Jurupa Hills, Canyon Crest, Oak Quarry, Van Buren, Paradise Knolls, San Bernardino, Goose Creek, Hidden Valley, and General Old public and private golf courses,all within 10 mi. Hiking, Biking, Swimming, Boating, Fishing, and many other outdoor activities at Lake Perris State Recreation Area, 13 mi. Historic Mission Inn, 0.3 mi. Raincross Square Convention Center, 0.4 mi. Riverside Metropolitan Museum, 0.4 mi. March Field Air Museum, 0.9 mi. Castle Amusement Park, 7.4 mi. World Museum-Natural History, 8.5 mi. Pharaoh's Lost Kingdom Park, 10 mi. Ontario Mills Mall, 12 mi. Fender Museum of Music and Art, 13 mi. Ontario Convention Center, 14 mi. Raging Waters of San Dimas, 26 mi. Wild Rivers Waterpark, 31 mi. Six Flags Magic Mountain, 70 mi.